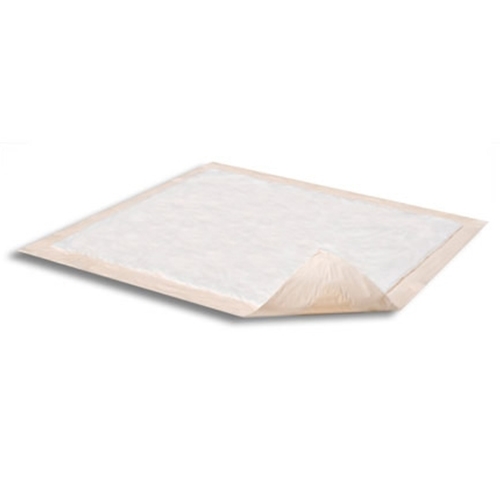 Attends Dri-Sorb Advanced Underpads with Polymer from HealthyKin.com contain a super absorbent polymer and cellulose fibers for moderate absorbency. They are perfect for standard, everyday use. I actually use this size pad for my dogs. It is way more economical and absorbent! my husband has a colostomy I use them under him when I change it. Our dog is trained to go to the bathroom to do his business and I use those pads- wonderful they have alot of uses. These are good for what they are intended for. Pad is a good size, but does not absorb very much liquid, very thin filling(packing). Orders are filled very promptly, thank you! Good product. I like it because it is rectangular as am I. With other providers, I find their product less helpful due to its being square. I'm not.